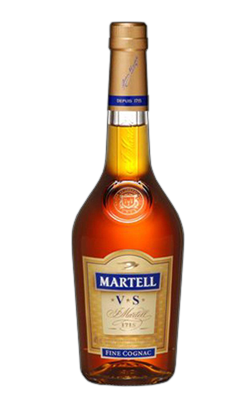 Martell is a manufacturer of cognac, founded by Jean Martell in 1715. It was sold in 1988 by the Firino-Martell family to Seagram and again in 2002 to the Pernod Ricard Group, which also owns the Cognac brands Biscuit and Renault. The cellar master was, up to the 1980s, from the Chapeau family (in the way that the cellar masters of Hennessy are from the Fillioux family). Much of Martell Cognac is produced from wine from the Borderies region, in contrast to other companies, which mainly sell fine Champagne Cognac. Borderies Cognac has a more nutty taste.